Quirky’s mission is to make invention accessible. We take everyday ideas and turn them into extraordinary products by engaging our community of one million members from all over the world. Our community votes and rates each other’s ideas and the best ones bubble to the top each week. Every Thursday night at 7pm we evaluate the best new product ideas and crown new inventors at our live streamed product evaluation. Ideas are then put through the Quirky collaborative design and development process where community members work with our internal team to bring these ideas to life — from napkin sketch to store shelves of national retailers. For every Quirky product that is sold, we share a portion of the revenue with the community members who helped bring that product to life. 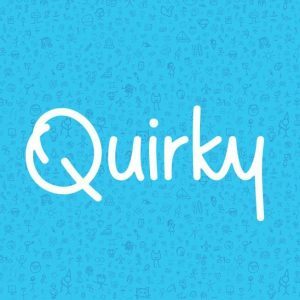 Quirky has redefined the way the world thinks about product development. As a company that has reinvented invention, we have taken a similar approach to company culture. Unlike traditional consumer product companies, where decisions are made in the board room, our decisions are made in the living room. We are a company that is 100% community driven– built upon transparency and authenticity. Everything we do and every employee is measured against those five core values. At Quirky it’s not about where you went to school, what degrees you have, or who your previous employer was — success is measured by how you embrace these values. They form a daily mantra and build the standard to which every employee holds themselves, their colleagues, their managers, and their executive team. Our core values are woven into everything we do and how we do it, from attracting, identifying and hiring top talent, to evaluating performance and promotion, to setting new initiatives and goals, and even operating day-to-day. Each week, we invite the world to help us identify the best new product ideas that are submitted to our website. “Eval” is a public forum where community members’ opinions often matter more than our CEO’s. We are a private company that shares all of our performance publicly on a quarterly basis in what we call “Town Meeting”. Four times a year, we broadcast our progress updates and even financials with our global community in a live and interactive format. We bring products to market faster than any other consumer products company in the world. We do this by fostering an open dialogue between creative people and our team of experts. One of our products was brought from napkin sketch to the shelves of Bed Bath and Beyond in 29 days. Because of our dynamic work environment, we “blackout” three times a year. In addition to Quirky’s regular vacation policy, the entire company shuts down so the team can take time off without worrying about what they’re missing and ultimately recharge. We are incredibly proud of our culture. We feel that this is why people rarely leave Quirky, and explains how we have doubled our workforce in the past 12 months. We’ve experienced explosive growth, partnered with the largest innovation company in the world, created a new company called Wink, opened two new offices, and all the while maintained our mission to make invention accessible.